Radio base, controller and interface. WAVELINK Communications has introduced the KIRK DECT Wireless Server 600v3, a fully scalable wireless VoIP solution to meet the needs of small to medium size business through to large multi-site enterprises. The 600v3 is the only wireless VoIP solution on the market today that provides a radio base, controller and IP interface “all-in-one” box, removing the need for a separate controller and DECT base stations. With an increasing number of enterprises investing in VoIP solutions, the KIRK DECT 600v3 is capable of adding wireless extensions to VoIP telephony platforms. The KIRK DECT 600v3 has successfully passed Cisco Interoperability Verification Testing against the Cisco CallManager, securing interoperability between the KIRK Wireless Server 600v3 and a Cisco VoIP infrastructure. Unique features include the option of deployment as either a single-cell configuration with up to 35 wireless users supporting up to 12 simultaneous calls, or as a multi-cell configuration with up to 256 radio cells and 1500 wireless users. Radio coverage across a site is achieved by using a combination of 600V3 units and wireless repeaters, which require no cabling. 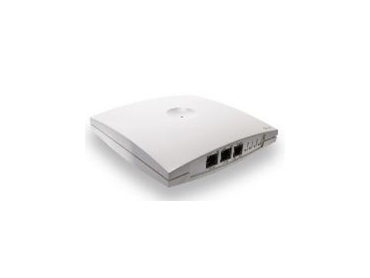 Each 600v3 unit can support up to 6 wireless repeaters. Installing the 600v3 on a VoIP platform allows enterprises with multiple sites to have all telephone switching controlled from a central site via the VoIP call handler. This means that phones at each site can be part of one network, with common extension numbers, and all calls between sites carried over a single data network. Each site location has its own individual network cluster, using a combination of KIRK DECT 600v3 servers and wireless repeaters as required to provide radio coverage for that site. Critical for business communications, DECT is a stable and proven technology that has been designed specifically to deliver superior wireless voice communication. Featuring dedicated radio frequencies and digital encryption, DECT offers highly secure wireless communication free from eavesdropping, hacking or interference. DECT wireless technology also offers the benefits of enterprise mobility. A multi-cell radio network allows calls to be made and received from anywhere on a site, increasing employee productivity and improving customer service by allowing staff to respond to enquiries while on the move.